Grow Zone Recommendation: Blazing star, also called Liatris, is a native prairie plant that can be cultivated as a perennial in USDA growing zones 3 to 9. Sunlight Needs: Blazing star requires plenty of sunlight. Full sun is definitely best, but some varieties will appreciate a little bit of shade. 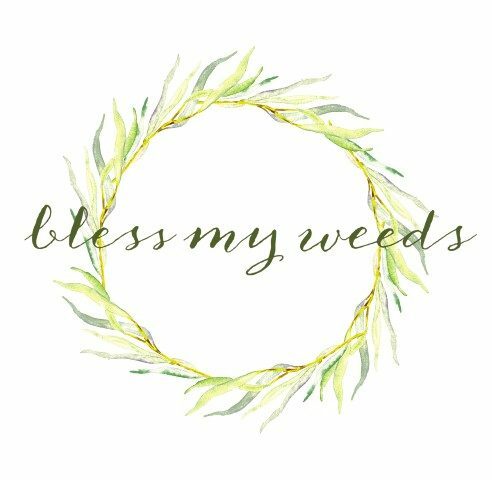 Watering Needs: These prairie plants are extremely heat and drought tolerant. Provide water when newly planted until established. After that, they’ll require little water. Let the soil dry out completely between waterings. Average Size: Blazing star grows 1 to 8 feet in height, depending on the conditions and variety. Taller types will need tall neighboring plants to keep them from flopping over. They’ll also grow 1 to 2 feet in width. Foliage Color: The foliage is blue-green, with purple, pink, or white cones of flowers. Must Know Plant Care Tips: Blazing star actually wants to be planted in poor soil. As long as you have good drainage, you should be good to go. Avoid overly fertile soil, as the plant growth may become too soft and unable to stand upright. Planting in full sun will help ensure a great flower show in fall or summer. At their peak in blooming, blazing star will attract butterflies and other pollinators. Plant Problem Solver: If you want something that blooms for a long time, try planting different species of blazing star that show their flowers at slightly different times. 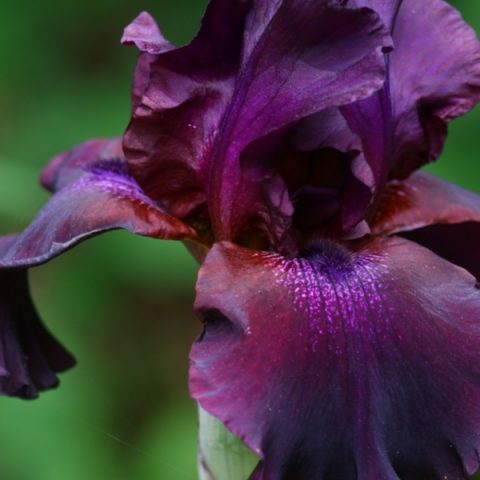 Also, their roots are bulb-like but prone to rot, so be careful about too much moisture. 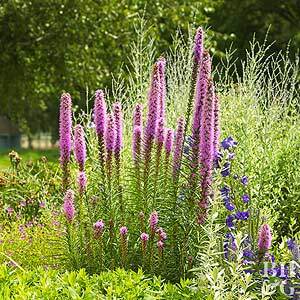 Pretty Pairings: Blazing star will mingle well with many other types of plants. They also look great in rock gardens and can thrive there due to their drought-tolerant nature. Try pairing them with penstemon, dianthus, or creeping baby’s breath.